Follow Grom the dog as he leads his human partner through adventures in the wilderness looking for the lost. 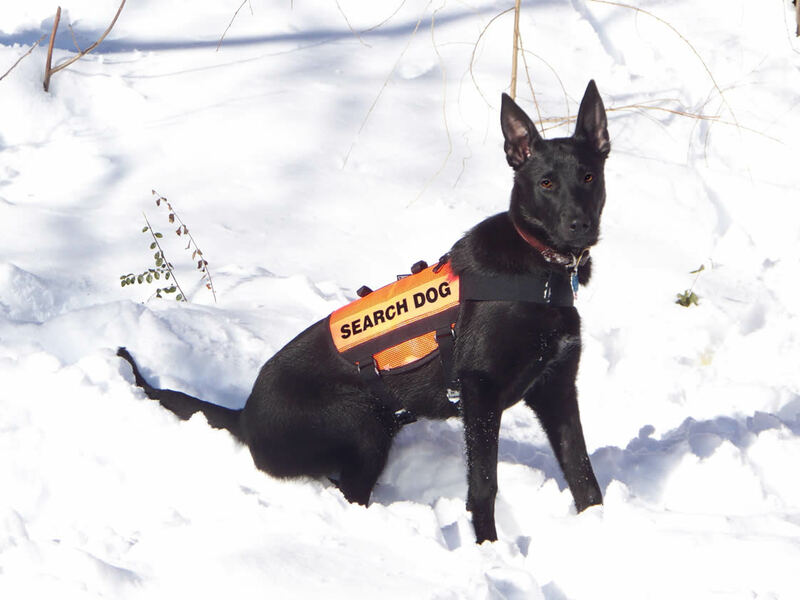 Enjoy the laughing, crying, tripping and falling in the mud all while learning about the human relationship with the amazing search and rescue canines. Hi! My name is Grom, that means Thunder in Russian. I am going be a Wilderness Search and Rescue Dog. Oh, gotta go! I see something in the house I need to destroy. Hound and the Found – the remarkable search and rescue dog and the people who follow him. 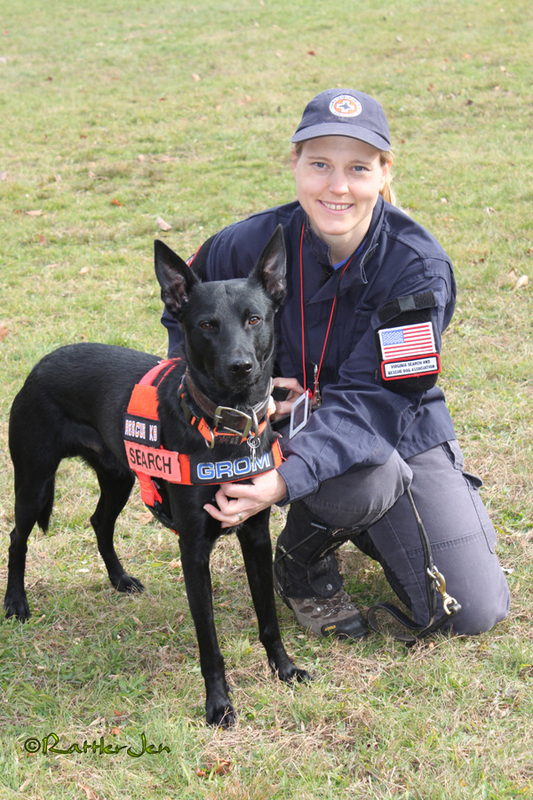 Jennifer is a long time snake charmer now chasing the heels of her search and rescue dog, Grom through the wild woods of the Mid Atlantic Coast. She grew up in the enchanted state, New Mexico and has a degree from the University of New Mexico in Biology. Sans dog, she is hunting for reptiles with her camera when away from her real job performing educational wild animals shows with live reptiles.